Our client is looking to add to its ever expanding property team by recruiting a solicitor, licensed conveyancer or legal executive to join their Manchester based office. 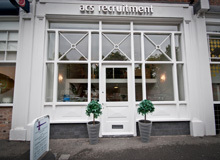 Must have proven experience in residential and commercial property. You will ideally have a minimum of three years experience of handing a diverse and complex caseload of residential and commercial property transactions. Some exposure to handling real estate transactions is essential. A highly competitive salary and benefits package is offered. For more information on this role, pleas contact [email protected] – 0151 709 3960.